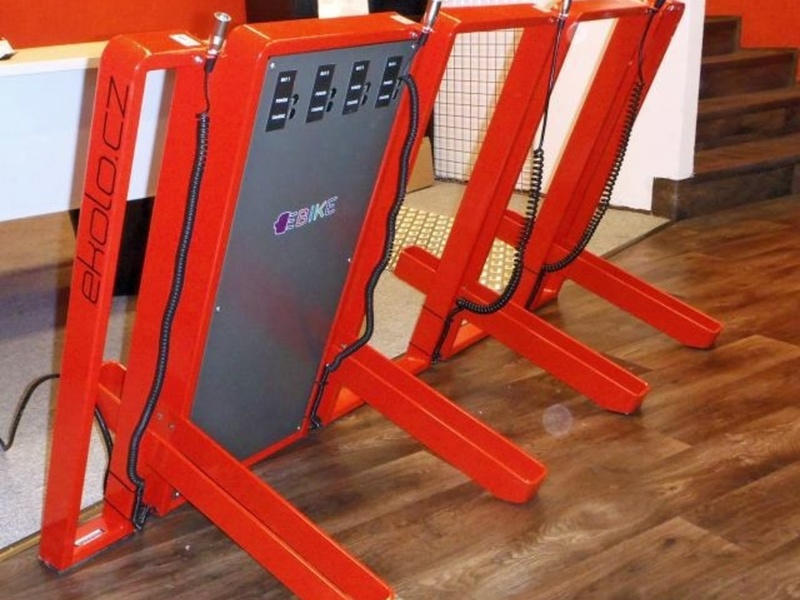 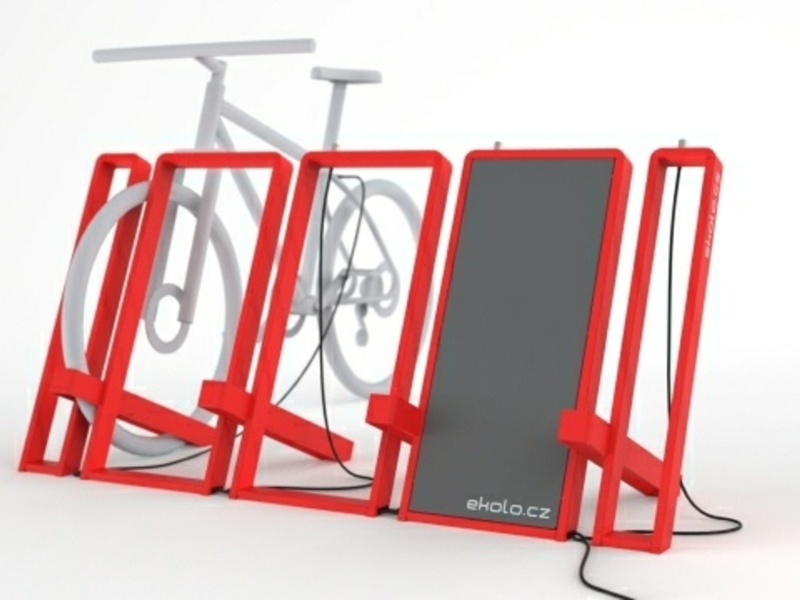 The design of charging station for any type of e-bikes for your business. 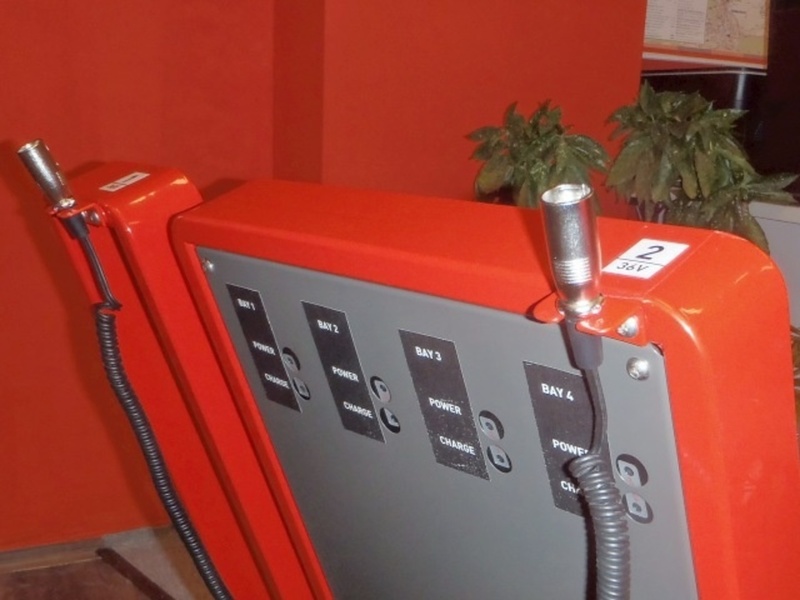 The pure and simple design of the station allows it to be used even in open areas such as corporate receptions, waiting rooms and covered yards. 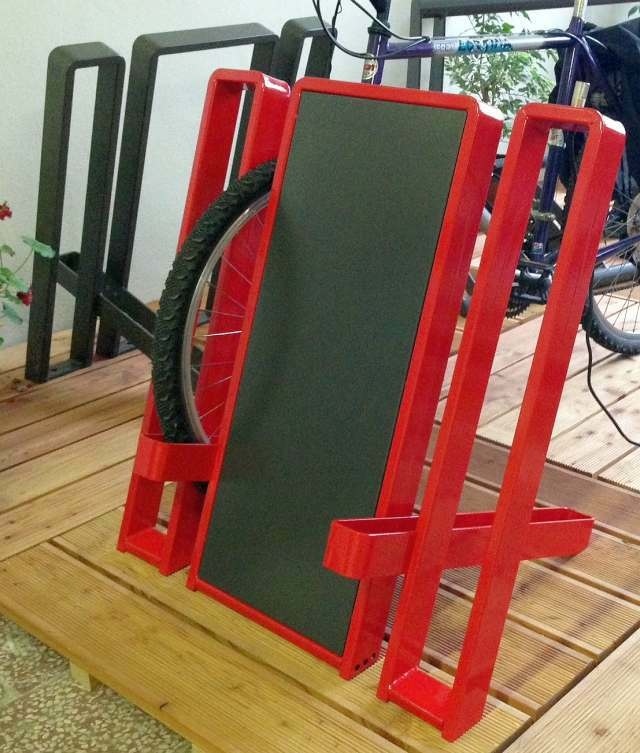 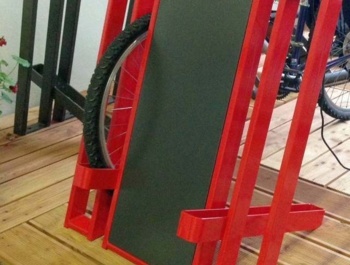 The stand can be designed for 2 or 4 e-bikes. 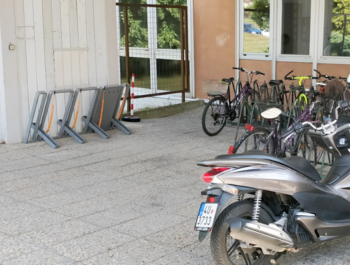 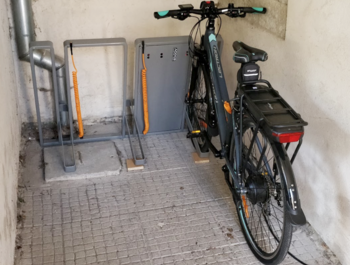 The two stations can be further connected for 8 parked and charging e-bikes. Specified price is for standard version for 4 e-bikes. Option price for 2 e-bikes is 543 EUR (657 EUR with VAT). 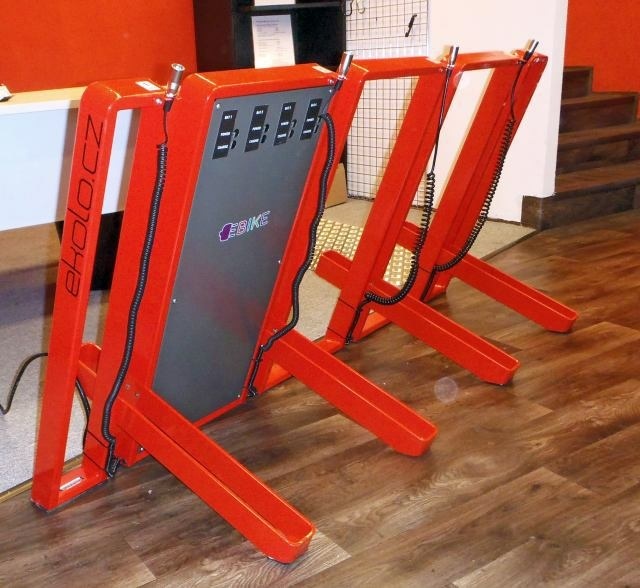 The stand is highly stable and does not need to be fixed to the floor when placed indoors. 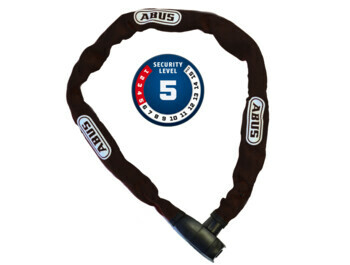 The design of the stand is used to securely lock the wheels with any bike lock of a minimum length 60cm. All wiring inside the rack. 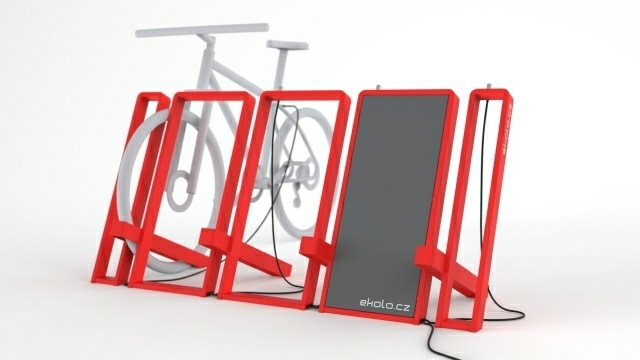 The price of the stand does not include the price of chargers (they are usually supplied with e-bikes). 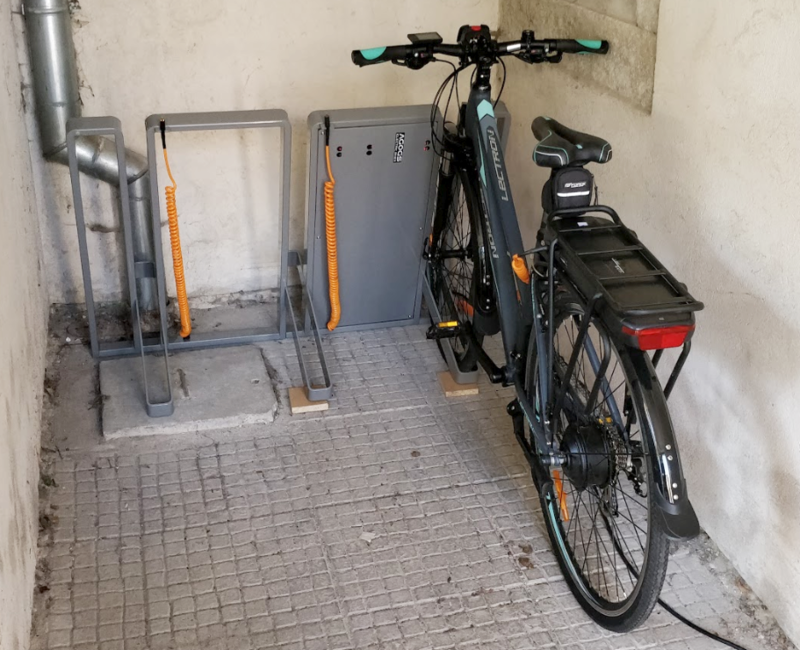 The cost of installing a lithium-ion charger for 1 e-bike (2a, 3A / 42V) is 43 EUR without VAT. The other voltage of the charger (24V, 48V) can be implemented on request. 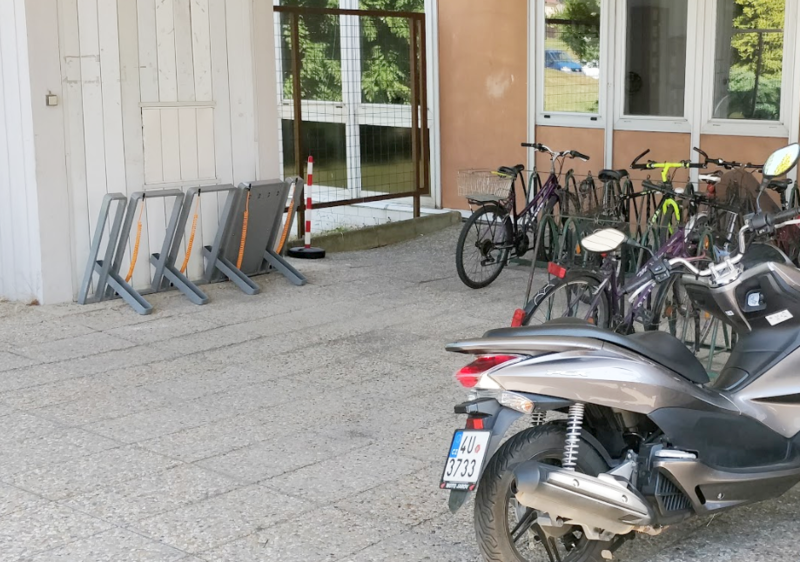 At the factory it can be equipped with any connector depending on the e-bike type. 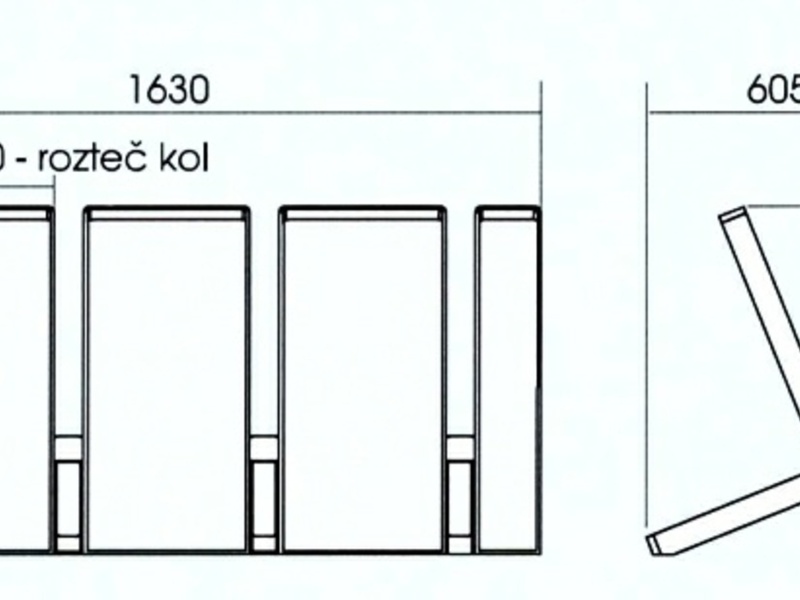 The XLR male 3PIN or 4pin connector is supplied by default. 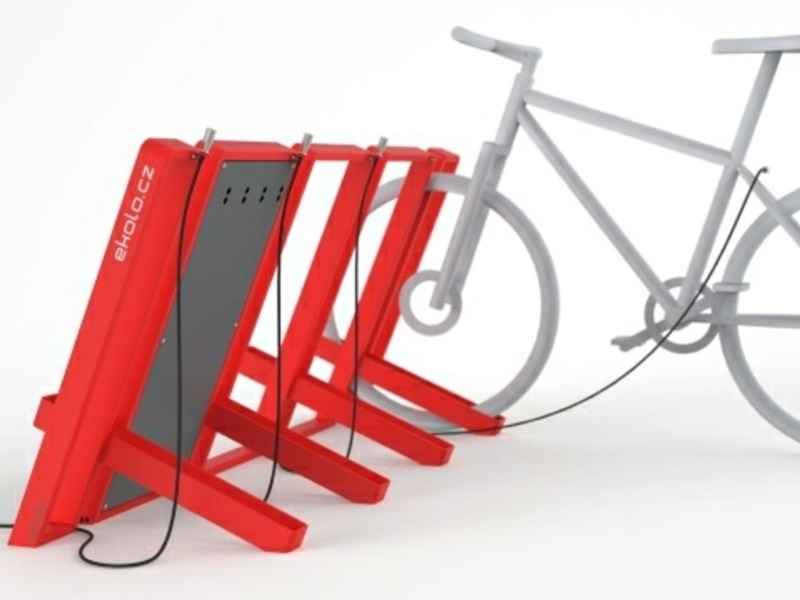 Electrical fuse (version for 4 electronic bikes): Max. 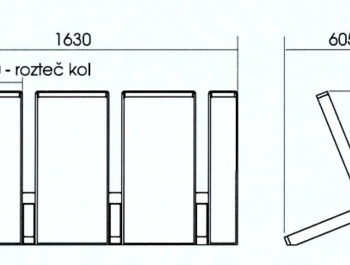 3*4A (16A), 230VAC. 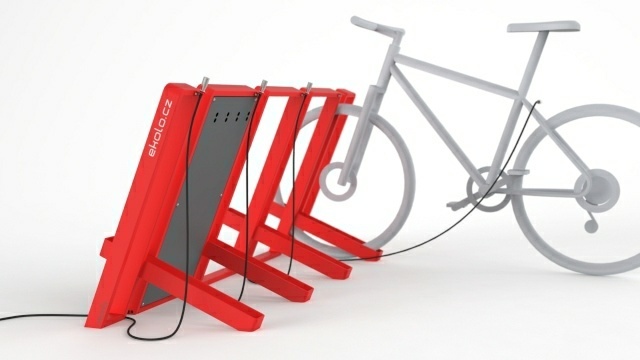 Standard grounded plug, power cord length 5 meters. Dimensions: Height 775mm, depth 605mm, width 580mm (2 e-bikes), 1630mm (4 e-bikes).